U.S. chipmaker Qualcomm rejected rival Broadcom's $103 billion bid to purchase the company Monday, stating that Broadcom's proposal "dramatically undervalues" Qualcomm and comes with "significant regulatory uncertainty." Meanwhile, Broadcom said it is still "fully committed" to the deal, stating that they continue to believe their offer represents the most attractive, value-enhancing alternative available to Qualcomm stockholders. Why it matters: If completed, the sale would have been the largest pure technology merger of all time. It also would have created the world's third-largest chipmaker, behind Intel and Samsung. Background: Qualcomm CEO Steve Mollenkopf spent the last few days soliciting feedback from Qualcomm's shareholders, and determined that the offer does not price in the uncertainty associated with getting the deal approved by regulators. Qualcomm's presiding director, Tom Horton, said in a statement Monday that after conducting a comprehensive review of the bid, they concluded that Qualcomm's current plans provide "far superior value to Qualcomm shareholders than the proposed offer." Broadcom said in a statement: "Many [of Qualcomm's stockholders] have expressed to us their desire that Qualcomm meet with us to discuss our proposal. It remains our strong preference to engage cooperatively with Qualcomm's Board of Directors and management team." 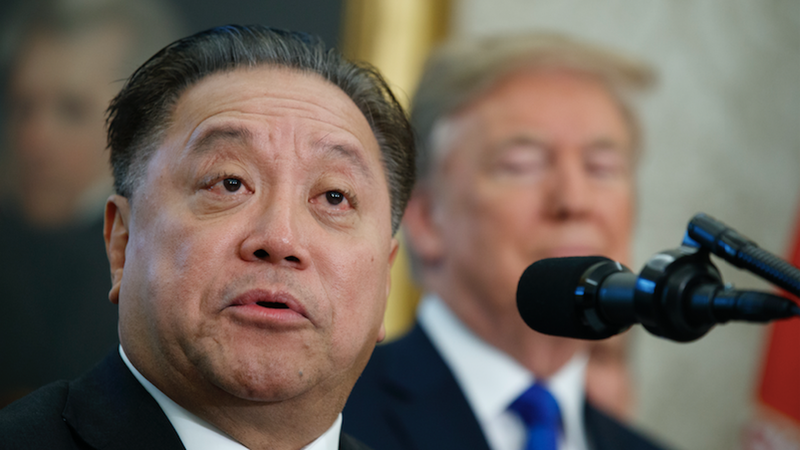 Last month, Broadcom announced that it would move its headquarters from Singapore to the U.S., in part due to the prospect for tax reform. Axios' Dan Primack points out the relocation was largely made to smooth the way not only for the Qualcomm deal, but also future M&A efforts.